Common Uses: Lumen Photon Therapy is proud to introduce a brand new line of light therapy products for home and office use. Our products are indicated for pain relief, muscle relaxation, increasing circulation, and increasing mobility of joints. These devices fall under FDA classification (RT)890.5740 and became exempt from the 510(k) requirement in 1997 because of their safety. All models offer 7 frequencies of infrared and visible light with 8 user-controlled settings (Quick Guide) from a universal micro-processor (technical specs), ensuring that an optimum setting is available for all situations. All models come with a power adaptor, padded carrying case, and manual. What Does Light Therapy Do? Increase vascularity (circulation) by increasing the formation of new capillaries, which are additional blood vessels that replace damaged ones. New capillaries speed up the healing process by carrying more oxygen as well as more nutrients needed for healing and they can also carry more waste products away. Stimulate the production of collagen. Collagen is the most common protein found in the body. Collagen is the essential protein used to repair damaged tissue and to replace old tissue. It is the substance that holds cells together and has a high degree of elasticity. By increasing collagen production less scar tissue is formed at the damaged site. Stimulate the release of adenosine triphosphate (ATP). ATP is the major carrier of energy to all cells. Increases in ATP allow cells to accept nutrients faster and get rid of waste products faster by increasing the energy level in the cell. All food turns into ATP before it is utilized by the cells. ATP provides the chemical energy that drives the chemical reaction of the cell. Increase RNA and DNA synthesis. This helps damaged cells to be replaced more promptly. Reduce the excitability of nervous tissue. The photons of light energy enter the body as negative ions. This calls upon the body to send positive ions like calcium among others to go to the area being treated. These ions assist in firing the nerves thereby relieving pain. Stimulate fibroblastic activity which aids in the repair process. Fibroblasts are present in connective tissue and are capable of forming collagen fibers. Increase phagocytosis, which is the process of scavenging for and ingesting dead or degenerated cells by phagocyte cells for the purpose of clean up. This is an important part of the infection fighting process. Destruction of the infection and clean up must occur before the healing process can take place. Stimulate tissue granulation and connective tissue projections, which are part of the healing process of wounds, ulcers or inflamed tissue. Stimulate acetylcholine release. Acetylcholine causes cardiac inhibition, vasodilation, gastrointestinal peristalsis and other parasympathetic effects. A form of treatment that has been independently studied for more than 40 years worldwide. Visible and infrared light have been shown to affect positive therapeutic benefits to living tissues and organisms on a cellular level. Lumen’s? 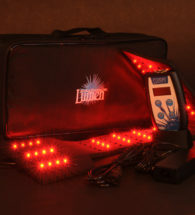 equipment offers 7 specific settings to promote different levels of tissue healing and regeneration. Pain and inflammation can arise in people as a result of disease-based conditions, physical trauma, work-related stresses, training, or other high performance activities. When looking for long-term solutions to these problems, many traditional western medical practitioners have been recommending the use of light energy therapy. Clinical tests have been conducted by NASA, Stanford University, and the Mayo Clinic, proving that light energy, or photon therapy, is able to help relieve pain and inflammation. Light energy therapy stimulates the natural healing power of the cells in your body. Photon therapy is a simple, effective, non-pharmacological medical alternative to prescription medicine or invasive surgery. In many cases the management of acute or chronic injuries and post operative wounds now includes the use of photon therapy because it is quick, cost-effective, and easy to administer. 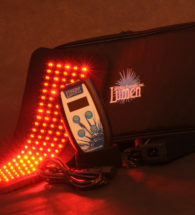 Photon therapy is widely used in human medicine in many cosmetic applications. Lumen Photon Therapy? provides a new system of photodynamic therapy products utilizing state-of-the-art technology, that can help provide a complete and lasting resolution of many health issues when coupled with a medical diagnosis. All Lumen? products are designed to help activate the natural healing processes in the body and can be used in the home, office, or while traveling. Lumen Photon Therapy? is a adjunctive solution providing spectacular results in many cases. The mission of Lumen Photon Therapy, Inc.? is to bring the benefits of photon therapy to those suffering from chronic or acutely painful and debilitating physical conditions and injuries. Lumen Photon Therapy, Inc.? is dedicated to creatively and professionally developing effective treatment protocols, training new technicians in the clinical use of photon therapy, and supporting the expansion of the innovative field of photon therapeutic treatment. Instructions/How to Use: INDICATIONS FOR USE circulation. Therapeutic applications of the Lumen Photon Therapy? devices are as follows: circulation.
? Use when applications are desirable for personal comfort and whenever recommended by a licensed medical professional. circulation.
? Provides temporary relief of minor aches and pains in muscles and joints. circulation.
? Aids in the relaxation of muscles. circulation.
? Helps provide for a temporary improved range and freedom of motion due to muscle relaxation and temporary minor pain relief. circulation.
? Provides a temporary increase in local blood circulation. The Lumen 264 offers the therapeutic intensity of the Lumen 90 in a larger size. The Lumen 264? 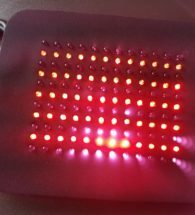 pad is made of flexible neoprene with 120 visible and 144 infrared LEDs. The pad measures 7 ?” wide by 14 ?? long, the diode surface measures 4 ?? by 12? allowing for treatment of large areas such as the back. Cautions/Warnings: There is absolutely no risk because all of our infrared light therapy pad products. Lumen Photon Therapy Inc. products are not intended to diagnose, cure or prevent disease. Lumen Photon Therapy Inc .makes no claims, representations or warranties regarding the ability of its products to cure any physical or mental conditions. Any information given in this document should not be taken as a substitute for qualified medical advice. A qualified medical professional should be consulted with regard to any condition requiring medical attention. The times are suggestions based on research, but the individual will know best how long to use each device for optimal effectiveness. 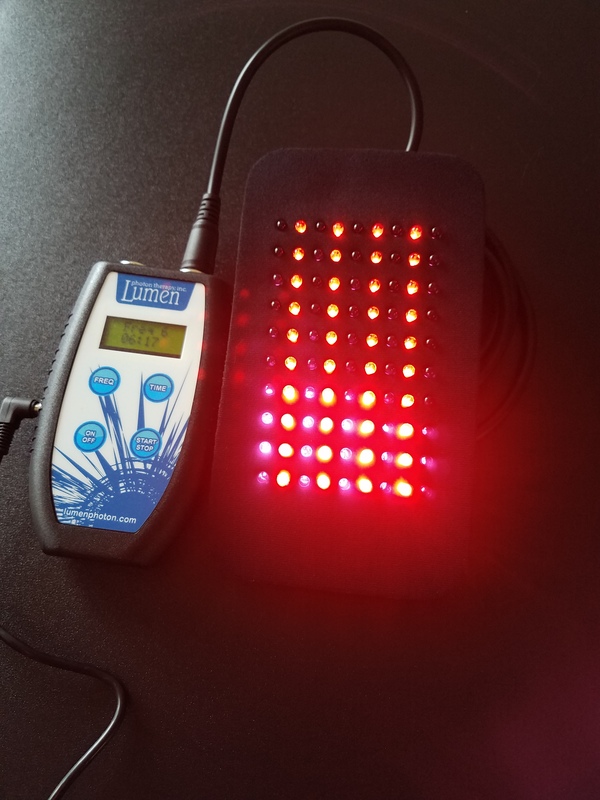 Lumen Photon Therapy and Carolina Cavitation Diagnostics are partnering in research to determine the efficacy of red and infrared light therapy in treatment of cavitations. Using a combination of the cavitat scan for diagnostic purposes and Lumen? infrared equipment for treatment of infection and bone loss, preliminary results are very exciting, suggesting resolution of infection and successful regeneration of bone. We anticipate this research to verify the successful, non-invasive treatment of cavitation and expect to have farther documentation to offer very soon. Lumen Photon Therapy? is a leader in the emerging field of visible and infrared light therapy, with over 12 years of veterinary experience to serve as a basis for the current expansion into human treatment. Lumen? equipment is being used in our clinic and others across the country to successfully address a wide range of clinical applications. The Lumen? 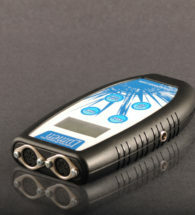 equipment is unique in offering a range of 7 specific frequencies targeting different levels of tissue to support cellular healing and regeneration. These frequencies are combined in specific protocols to maximize the healing potential. For areas of yellow scar tissue that are generally formed internally on tendons, ligaments, and sub-acute (lingering but chronic) conditions. (Field use has shown setting 2 to be helpful in reducing inflammation associated with injuries and infections.) This is often called the “universal frequency” because most problems involve inflammation. For tissue of ectodermal origin, such as body openings, skin, and nerves. (Field applications include wounds, eye injuries, and after surgery. Setting 3 tends to tone tissue while minimizing the chance of hemorrhaging fresh wounds or recent surgical sites.) It is also good for the treatment of acupuncture and trigger points, corneal ulcers, and ulcerated mucous membranes. This is called the “universal frequency” in acupuncture. For tissue of mesodermal origin, such as bone, ligament, viscera, and tendon. (Field experience has shown setting 5 to be especially good for tendon and ligament injuries when used with 4 and 2.) It also helps in relaxing large muscle groups. For pain control, primarily when C nerve fibers are transmitting to dorsal root ganglia and when involvement of neurotransmitters is of physiological importance. (Field experience shows 7 to help suppress pain and to sedate acupuncture and trigger points and aids in diminishing excess calcification associated with chips, spurs and arthritic conditions. General Rule: When stimulation is required, use lower frequencies. When sedation is required, use higher frequencies.